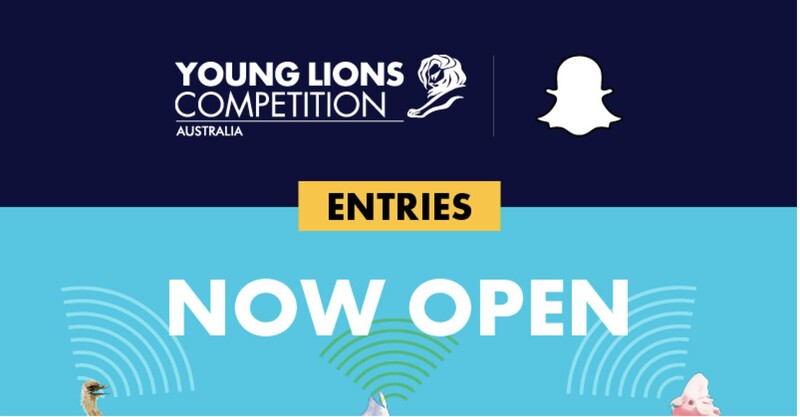 Entries are now officially open for the 2019 Snapchat Young Lions Competition, which for Australia will cover Media, Digital and Marketer, three of the seven Young Lions categories. Now in its eleventh year, the Young Lions competition searches for the best young talent in the media, marketing and creative industries to represent Australia at the 2019 Cannes Lions International Festival of Creativity in June. All entries will be assessed by a team of over 60 high profile industry judges, with successful entrants taking part in a second round 24-hour brief. Winners of the second and final round will go on to represent Australia at the 66th Cannes Lions International Festival of Creativity from 17-21 June, 2019. Entries for the first round of the Young Lions competition close 5pm AEST, 29 March 2019 and are open to teams of two who meet the category criteria and are under the age of 30. Registration costs $249 +GST for a team of two.